Cromwell- John Harvey Chinn, 83, passed away August 14, 2018 at his home. He was born May 26, 1935 in Ohio County, son of the late John Everett and Isabelle Chinn. John was a member of the Church of Christ and was a heavy equipment operator. He also enjoyed Bluegrass Music. He was also preceded in death by his wife Rebecca Jo Chinn, son Dennis Chinn and daughter Dianna Simpson. Survivors include two sons, Terry Don Chinn and Johnny Dale Chinn; stepson-Kurt (Lisa) Sarnecke; stepdaughter-Jackie (Roger) Eades; grandchildren Jason Chinn, Kristi Cunningham, Christian Hart, Courtney Calloway, Leslie Chinn, Emmalee Morgan Chinn, Natalee Don Chinn, Karlee Beth Chinn, Rebecca Chinn, John Chinn and Jessica Chinn;step grandchildren-Kim Hunter, Melissa Howard, Jennifer Houser, Felicia Geary; several great grandchildren; brother Ted (Linda) Chinn. 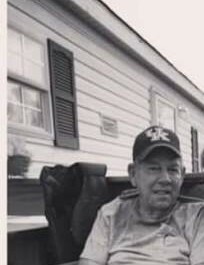 Funeral services are 2:00 p.m. Thursday, August 16, 2018, at Bevil Bros. Funeral Home in Beaver Dam with Bro. Mike Daugherty officiating. Burial will follow in Sunnyside Cemetery. Friends may visit with the family from 11:00 a.m. until 2:00 p.m. Thursday at the funeral home.